Not to be outdone by the likes of Konami and Marvelous AQL, Index just announced that a social game based on Persona 4 coming this September that will also be released onto GREE. 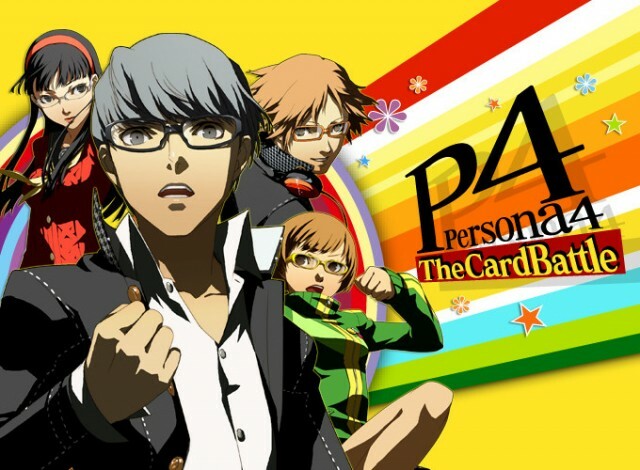 Called Persona 4: The Card Battle, this game takes the form of a kind of trading card game. As a “Card Master”, you are tasked with collecting cards from over 400 characters in the Persona universe and battling other Persona characters. You can team up with your friends for tougher fights, if you want. Japan’s just been going crazy with the social game adaptations. I mean, first Metal Gear Solid, then No More Heroes, and now Persona 4? What’s next? I half expect to see the likes of Professor Layton, Street Fighter, and even Devil May Cry hitting the social gaming scene.